This adventure was originally written and produced for RPG Crate (July 2017) and it shipped to MANY gamers around the globe. Fail Squad Games, Ric Martens, and Lloyd Metcalf wanted to bring it directly to our supporters as well and we were given the thumbs up to pull the trigger. As is the case with many small indie publishers, laying out the cheddar to get a stack of books printed blindly can be a disastrous risk. Kickstarter addresses that issue and let’s us find the gamers who need the books to plan our print run accordingly. 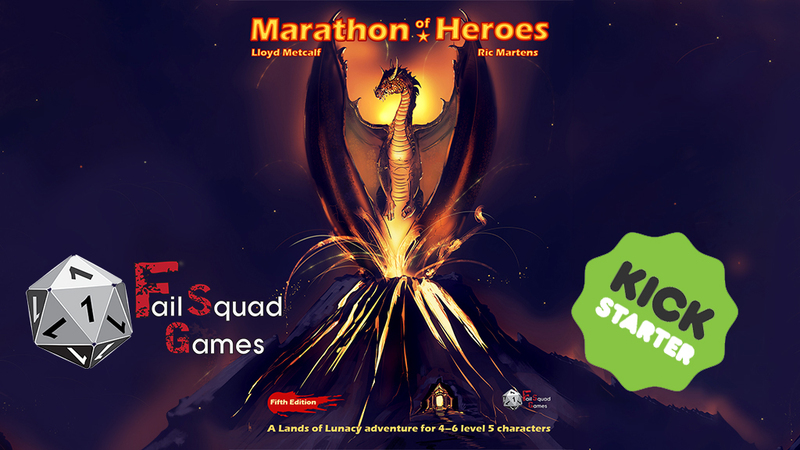 In Marathon of Heroes the local city is faced with a nightmare of a Dragon. The local lord has tracked the beast to a volcano offshore, but no one knows what awaits. Everyone knows what Red Dragons love above all else though – Treasure. It’s not long before the heroes meet a friend from the Lands of Lunacy. 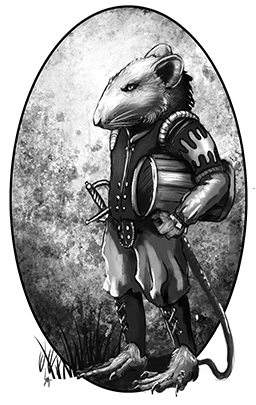 The Murine are an anthropomorphic race of rodent folk native to the Lands of Lunacy. They were first introduced in the 1E/OSRIC adventure “Last Call Oliviah” but have been modified and properly introduced as a 5E player character race in Marathon of Heroes. The heroes new friend knows they aren’t ready to face Vatrastrom the dragon and offers them an opportunity to hone their skills and prepare to face the beast in his volcanic lair. This 36-38 page adventure covers multiple sessions and a lot of ground. With stretch goals that comes as side quests called “Interludes” there is potential for many sessions in this one adventure.